Another week with more records for the stock market. The latest milestone? 23,000 on the Dow. 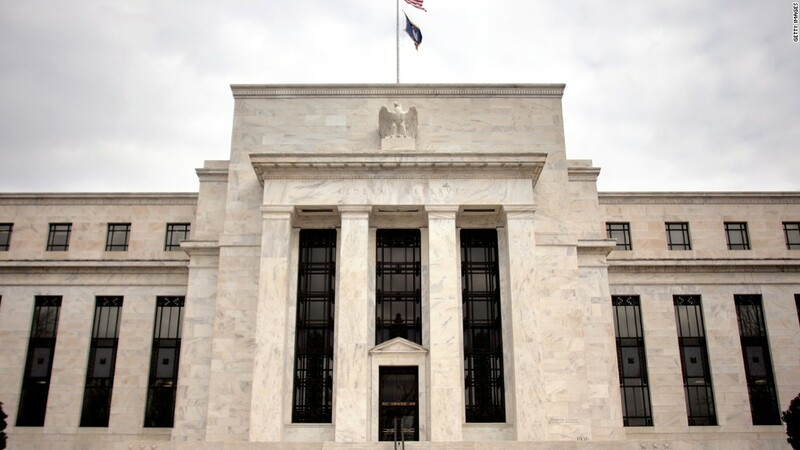 It seems almost nothing will tame this market -- not even more interest rate hikes. The regulars down at the New York Stock Exchange we speak to on Quest Express and Quest Means Business pretty much agree that the market still has serious momentum. The Dow is up 17% this year alone. And if Treasury Secretary Steve Mnuchin is to be believed, tax reform will soon follow, pushing stocks even higher. With such good cheer, it was refreshing this week to hear a different perspective from the president of the Atlanta Fed, Raphael Bostic. He has only been in the job since June, and he was a psychologist before he was an economist -- an interesting combination. With his interest in the labor market and human behavior, he is not so much focused on the rising market, but those who haven't benefited from the rocket-like gains. Bostic told me there are vast swathes of America where the Dow's daily moves are almost meaningless, compared to the impact that a $400 or $500 financial emergency would have on their personal balance sheets. He said "many folks really don't enjoy and benefit" from the market's big gains. This makes President Trump's numerous tweets extolling the market's gains since he was elected a tricky gambit. If the have-nots President Bostic is concerned about continue to feel they are being left behind, then President Trump will need more than boasts about how good Wall Street has it to convince them otherwise. 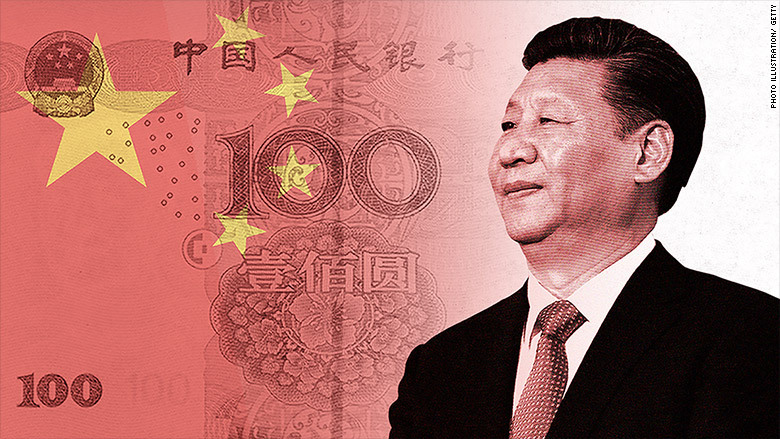 What's next for China's economy? China's economy grew at a 6.8% clip in the third quarter. But there are concerns that China's expansion is being fueled by too much debt. President Xi Jinping has warned that the country must "deleverage" in order to avoid a possible crisis down the road. Banks have continued to lend to state-sponsored companies -- with the belief that China will bail them out if they run into trouble. But economists are skeptical that this can end well. So are Moody's and S&P. Both have downgraded China's credit rating this year. On Monday, Airbus announced it would take control of Canadian rival Bombardier's C Series airliner program. Key context: Boeing has been attacking Bombardier for selling the C Series to Delta at "absurdly low prices," and the U.S. government has levied a preliminary 300% import tariff on the plane. The new partnership could help Bombardier skirt the tariff by making the plane in the U.S. 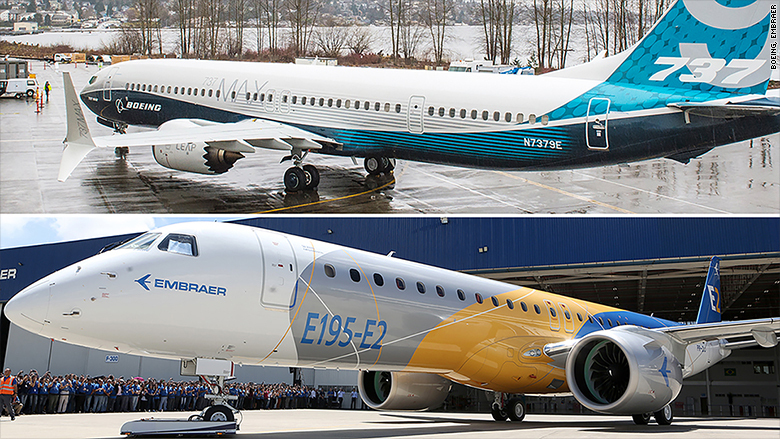 It also might lead to a closer alliance between Boeing and Brazil's Embraer. 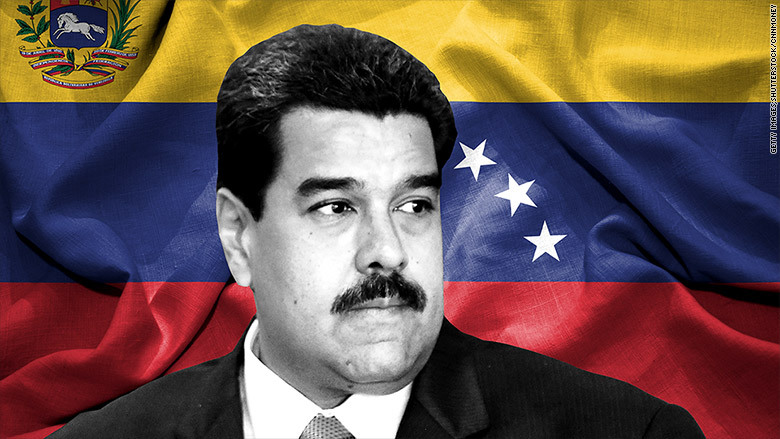 Venezuela is a week late on $349 million in debt payments. Delayed payments are becoming increasingly common and its leaders have pointed the finger at President Trump. The U.S. imposed stiff financial sanctions on Venezuela in August that make it illegal for banks in the United States to buy new Venezuelan debt. The country's vice president, who the Trump administration labeled a drug trafficker, says the sanctions are making it harder to pay down its debts. Elsewhere in Latin America, Mexico is showing no love either to the Trump administration for very different reasons. The renegotiation of NAFTA isn't going well and the deal's end may be in sight. 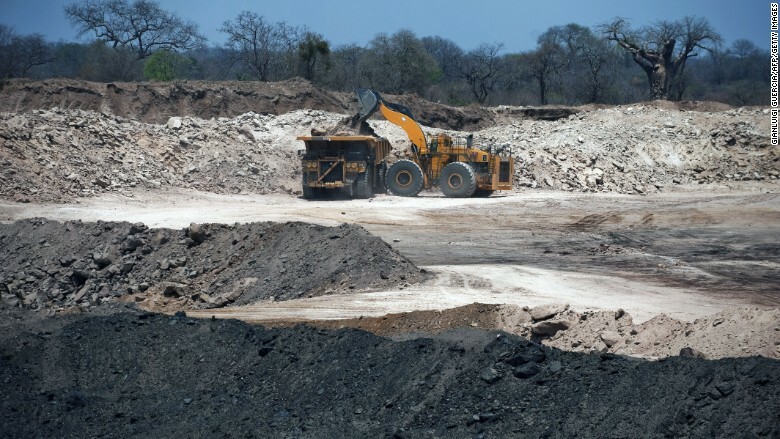 Regulators say Rio Tinto hid the true value of a coal mine it bought in Mozambique in 2011. The SEC argues Rio Tinto realized the mine was worth much less than the $3.7 billion it paid for it within a year, but didn't tell investors until 2013. Britain's Financial Conduct Authority said the mine should have been revalued in 2012 and that the failure do so showed "a serious lack of judgment." Rio Tinto settled with the FCA but claims the SEC charges are "unwarranted." Rio Tinto eventually sold the mine in 2014 -- for $50 million. Earnings bonanza: The upcoming week is chock full of earnings. General Electric reports on Friday. GM, McDonald's and Chipotle report on Tuesday, followed by Boeing, Visa and Coca-Cola on Wednesday. Is Britain growing? An early look at Britain's third quarter GDP will post next Wednesday. Last quarter, the country's economy grew just 0.3%, confirming fears of a slowdown as the U.K. prepares for Brexit.